If that definition is correct, then Mr. Perry was saying that the gospel depends on–or is based on–Jesus Christ, Joseph Smith, the Book of Mormon, and the LDS priesthood. Clearly, this is a different gospel than that which has been embraced and proclaimed by Christians throughout redemptive history. If I were to identify the four cornerstones of the Gospel from the Bible, they would be the life, death, resurrection and ascension of Jesus Christ. Rather than the LDS gospel which is based on Jesus Christ plus Joseph Smith, the Book of Mormon, and the LDS priesthood, the Good News (Gospel) proclaimed in the Bible rests completely on Jesus Christ. This entry was posted in Gospel, Jesus Christ. Bookmark the permalink. Ralph, I answered your question: “The(y) (the critics) HAVE the Bible, and they reject it. It is this precise reason I say that the Bible is not in and of itself a cornerstone: you can have the Bible and not believe. Tolkien made no pretensions it was fiction. He made no attempt to deceive. But the two are similar in creating whole new fictional worlds. RickB, your comment “their is over whelming evidence to prove the Bible to be the Word of God” is untrue. I will state my question again – If there was this overwhelming evidence then why are there many scientists, historians and archaeologists non-believers? Why do they dismiss the Bible as stories? Why do they show more proof against the Bible than there is that God lives? Just because there are cities and names and groups of people that can be found in real life and the Bible DOES NOT MAKE IT THE WORD OF GOD. The Koran is similar in that respect. Faith makes it the word of God – faith as described in the Bible does not need proof or evidence. MichaelP, OK sorry, I misunderstood you with the first answer you gave. But I do have another question now that you have clarified things. Going with your logic with “you can have the Bible and not believe.” we can also say the same about Jesus. There were people in Jesus’ day that did not believe Him to be the Saviour, but they knew Him and they saw Him almost everyday. There were people who started out as His disciples but then lost faith in Him and left Him. These days there are historians and others who recognise Jesus as being an historical figure but do not believe in Him as the son of God. So if one can have Jesus and not believe then that negates Him as a cornerstone by your argument against the Bible. 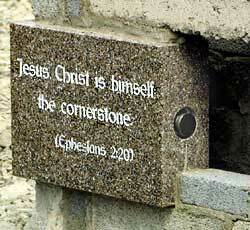 The fact is in the Bible it describes Jesus as the CHIEF cornerstone. One cornerstone does not a building make. The chief one lays out the position and square of the building. So there is room for other things to be a cornerstone and I posit in the case of Christianity the Bible is one, as without the Bible there is NO proof that Jesus is the Saviour or the son of God. Yes, our faith is in Jesus but it must also be on the Bible which teaches these things about Jesus. If not, then why defend the Bible when we LDS “attack” it? Ralph– You ask this of RickB: “Why do they show more proof against the Bible than there is that God lives?” When I look at this question, I see an answer to the question you ask of me. You ask me about believing in Jesus as a real person or as of God, and compare that to my comment on the Bible. What you ask of RickB gives the answer to mine as well. See, there are two questions in yours to Rick. One is how do we address those who give more proof against the Bible, and the other is how do we knoe God lives? Do you see the jump you made? These two are not the same, and this is key to answering the criticism you brought to me. Our cornerstone to our faith is our faith in Jesus. Perhaps I wrongly assumed when we speak of Jesus, we speak of him as our living God, not as just a man. Our cornerstone is our faith in him, and not in the Bible. It is true that people can view him just as a man, but these would be the same people who reject the Bible, so we can still have faith in him without the Bible. I am also reminded of the believers who do not have Bibles; there are many in China and other remote and restricted areas. I understand your concern, but it is a simple concept. You can believe in Jesus without having the Bible. Again, our cornerstone is built around (our faith in) Jesus, not the Bible. RickB, your comment “their is over whelming evidence to prove the Bible to be the Word of God” is untrue. I will state my question again – If there was this overwhelming evidence then why are there many scientists, historians and archaeologists non-believers? Why do they dismiss the Bible as stories? Ralph, do you really read your Bible? it is clear, the Bible says men’s deed’s are evil and we love darkness rather than light, lest we come to the lioght and have are evil ways expoused. also the bible says our hearts our wicked and evil. Then read in the book of Revelation, after Jesus rules for a thousand years, the devil will be bound and removed from the earth and cast into the bottomless pit. This way no man can blame the devil. this also shows even though we walk with God and have him rule over us in perfection apart from Satan, we will still choose wickednees, after the 1000 years ends, the devil is loosed for a short time and so many people still follow after satan to fight against God the humans out number the sands of the seas. Rick, that was totally weak. You gave your interpretation of Revelations on the millennium., expecting those reading to accept that as evidence, yet the evidence you require of the Book of Mormon is based on Archeology, DNA, and Anachronisms? What gives? To answer JFQ from back on the 15th and to help you Rick B with evidence for the Book of Mormon: you have it wrong. It was not a “visionary or transcendent experience” as you claim. (Again, restating things you hear not fact.) I will refer to David Whitmer and his own words from a pamphlet about the Book of Mormon he put out before he died. The testimony of the 3 witnesses is the same testimony today as published with the first edition, word-for-word. He also quotes it in the same said pamphlet. And he had already left the church when this was published. So how can there be any question as to the evidence? Explain how this is NOT evidence. What evidence is their for BoM? Where are the 2 million that died in battle, I heard many LDS claim it was Modern day new york, but now that view is changing. I think the reason you do not agree with my view on Revelation is because your reading a different book. it is a single REVELATION, not plural revelation(S). I keep saying this, but people add that (S) on the end of it. Now if we go back 100 years we could never say, the WHOLE WORLD will see, now through modern day technology the whole world can see one place, we are now effecting the entire world by the dollar crumbling. The price of the Euro effects the whole world. Again, go back 100 years and this was not possible, so when the Book of Revelation teaches the WHOLE WORLD will witness the death of the two witnesses, tell me, who is the Whole World? what does that verse mean, if not the Whole world? It is shown in the constant pattern that you always need physical “proof” that you label under the guise of “evidence.” So are you going to throw away the witness of the original apostles too because it’s not “HARD EVIDENCE”? Under your definition, there are so many things in the Bible you are not allowed to believe. The cross Jesus hung on was never found, so was he really crucified? No manna has ever been preserved, did it really fall from heaven? No tower was ever discovered, did Babel even exist? Let’s be honest Rick, you want to prove things with physical evidence so that faith is not required. Anyone who is intellectually honest can see that is exactly what you are looking for. You do not rely on faith, you disguise your “HARD EVIDENCE” as your faith. Your hard evidence that the plates existed, that it is the word of God, and that they were translated correctly, all come from the witnesses who were there, saw the plates, and were told by God himself it was a correct translation. Are you going to reject what God said himself? If so, it’s because you lack faith. You have been given the evidence. Even after Whitmer left the church, why would he hold true to this testimony if it were a lie? What advantage would it give him to do so? I believe many things about the Bible and found in the Bible that only require faith. I do not believe the BoM because of all the problems found in it. Why was their over 4,000 changes in the most correct book. The way many, not all, but many LDS teach the BoM was translated was, JS stuck his head in a hat, looked at the Golden plates and saw a letter appear. if for example the letter (A) came up, he would tell his partner in crime on the other side of the sheet the letter (A) if his friend wrote down the letter (A) it would disapper and a different letter would appear. Yet if JS said (A) but the other guy incorrectly wrote down the letter (J) the letter (A) would stay until it was correctly written down. If this is true and many LDS believe this was how it was, then their should never have been a single change to the BoM, yet their were over 4,000 changes and some were very serious doctrinal changes. When it comes to evidence verses faith, I see nothing wrong for asking for evidence, not saying you said it was wrong to ask for evidence. But in acts 17:11 it says they searched the scriptures. why were they searching the scriptures? they were looking for evidence. Jesus quoted the ot in many books and people. Did Jesus ever correct any verses and say, this was written down wrong, let me correct it? no he did not. Then God tells us He places His Word Above His name, Why would He allow it to be corrupted and not trustworthy? And, behold, there came a prophet unto Ahab king of Israel, saying, Thus saith the LORD, Hast thou seen all this great multitude? behold, I will deliver it into thine hand this day; and thou shalt know that I [am] the LORD. Have you read your Bible? Or do I need to give some other quotes from the OT where God gives “Evidence” that He exists. If God gives evidence to prove He exists, then I do not think it is to much to Ask. Then about the Manna, it is recorded that it melted at the noon sun, and bread worms and rotted if it was left over night. As far as the whole world knowing of the Birth of Christ, that was prophesied, But his Birth was only heard of, not the whole World Seeing it with their eyes, so yes my beliefe holds water, as the Bible tells us the two witness torment the world with their message, then after they are killed, they are left in the streets for v3 days and the whole world see’s their dead bodies in the streets and the whole world rejoices and gives gifts, then the whole world sees them rise from the dead and into heaven. How else but by tv or internet could the whole world see them rise or get killed. I think the whole point is that Christianity is not a blind faith. God has provided evidence that is indisputable. He prophesied and those things came to pass in intricate, personal, and real ways. He has prophesies that will come to pass. We, as believers, having read the Bible, can see things going on in the world and see how God is setting up everything to fulfill them. It’s exciting! As a Mormon, you don’t have that, do you? Tell me if I am wrong. The things Rick is talking about are some of those things we know will happen, just simply because God said it would. Why would we ever not believe the Bible, when there is so much evidence for it? God does not need man’s approval. He said it, I believe it, that settles it! Rick, you are adhering to a double standard. You are holding the Book of Mormon to “secular” tests whereas you only hold the Bible to “spiritual” tests. The same evidences that God exists are found in the Book of Mormon as well. The Book of Mormon testifies of Christ. shelli, we have that as well. We see how all of the prophecies are being fulfilled and how the world is being prepared for the second coming of Jesus Christ. But again, Rick’s application to ‘secular understanding’ is being used to bolster claims, but he does not see the ‘secular evidences’ that go against them. Look. I am not trying to disprove the Bible, I am merely trying to make the point that you are using different standards to prove and disprove the word of God. It’s easy for you to see the Bible as the word of God using a “spiritual evidences” and accept the things presented regardless of the ‘secular evidences’ presented against it. However, when it comes to the Book of Mormon, you give more weight to the ‘secular evidences’ instead of the “spiritual evidences”. So you are attempting to prove/disprove scripture based on two completely different methods. Only the wicked require a sign. And it all boils down to lack of faith. You just don’t have the faith to accept the testimony of the witnesses who heard the voice of God that the Book is true, regardless of mans weakness in putting it together for the world. Do you really think New Jersalem will be in the middle of Missouri? I have stated before and no one has refuted that there is evidence of the BoM being true. There have been at least 2 separate parties that have journied from Jerusalem through the Arabic Peninsula to the Yemen Republic and have shown that the trip described in the first part of the BoM can be confirmed. This includes the ‘river’ described in 1 Nephi, the city Nahom (NHM) and the land of milk and wild honey at the end of the trip with trees large enough to make boats. Very little was known of this area during the time Joseph translated the BoM, especially the land of milk and honey. Most (if not all) thought of the area as only desert. If you want references, there is a book “Discovering Lehi” that describes one of these parties’ journies (the author made at least 2 trips through the area for confirmation). So you can say Joseph made a lucky guess, but I decide to believe – your choice and mine. As for why we need the BoM. The Bible is clear that God requires 2 or 3 witnesses in everything. This was established in the Law of Moses and re-iterated in the NT, so it is still current, so to speak. The Bible is from the Jews and is their witness of God and Jesus. But as I have said in the past, most athiests pass it off as Jewish myths and legends as there is little proof to support its supernatural claims. So there is ONE witness; where is/are the other/s? The BoM is the second witness of God and Jesus. That they live and love us and of Jesus’ atonement. That is the main reason for the BoM as well as to give clarity to the Bible. If you read the BoM you will find that there is more scripture out there waiting to be given to us in God’s own time. I wonder how many LDS and Christians will accept that as well? I have posted this before and as of yet not ONE SINGLE LDS has EVER taken this challenge. They either ignore it or make excuse as to why they will not take it. They say stuff like, I have nothing to prove, Maybe you or Chuck5000 would give me an honest reply. I call this the Bruce Mc challenge, He said this stuff and uses past Prophets and Presidents to back this claim up. I can only provide the link as it is to long to post here. Take it if you can and if your refuse, be honest as to why you refuse. If their is the evidence for the BoM as you claim, this should be a Cake walk and you could boast as your prophet did that you were the first person ever to do this challenge. Michael P, you are trying to sidestep the question by asking questions. Answer why you cannot accept the testimony of the witnesses to the Book of Mormon. Rick, it’s funny you should mention the challenge. I am engaged in writing a book to do just that. Your Challenge has inspired me to write a series of books on the subject. The first book will be the 10 things it clarifies. The other books will be other topics. I will let you know when it is finished. I will even send you a free copy. But you still have yet to answer why you refuse to accept the testimony of the witnesses. Why should I accept the Testimony of some people who claim to have seen plates that do not exist. Then if they really did see these plates why did they leave the church? They and you cannot say, We saw evidence, yet walk away from the faith. Then even if they saw plates and gave a witness, it could have been a false witness as we know people do bear false witness and I am still waiting for a reply to the 4,000 changes to the most correct book, and some were MAJOR doctrinal changes. Chuck, I cannot accept them because I believe, in short, they were tricked or in cahoots with JS from the beginning. Don’t think this is possible? Do believe that that Charles Manson’s group would have sworn anything that anything he told them was true? They would have, and did. Now, answer my questions. Was Thomas wicked? You said only the wicked look for signs. And will New Jerusalem be in the middle of Missouri? A prophecy by Joseph Smith. The Bible is full of inaccuracies, redundancies and glaring mistakes as is The Koran, The Upanishads, the BOM, The Vedas, and any other “holy” text. These works were composed by mammalian bipeds who were still stuggling with deep rooted fears of the dark. The Bible is clear that God requires 2 or 3 witnesses in everything. This was established in the Law of Moses and re-iterated in the NT, so it is still current, so to speak. Ralph, Show me from the Bible how this applies to Gods word. Your ignorance of the Bible is vast. God said that he places HIS WORD above His name. The Bible says God CANNOT LIE. If God lied, then we could not trust His word, and if we could not trust His word, then we could not trust Him. Then the Bible is not one Book, or even two books, it is 66 books by 40 authors and written over 1000’s of years, so we do not need another “witness”. Then the witness bears false witness, all the more reason it cannot be trusted. 2 Cor 13:1 Just about sums it up. It says “THIS is the third time I am coming to you. In the mouth of two or three witnesses shall every word be established” Note it says that every word be established. You keep reminding me that the Bible is the Word of God. Can you show me where in the Bible it says that it’s exempt from this? Even Jesus Christ makes sure that there were 2 or more witnesses for Him and His divinity, resurrection, ascension, etc. I agree that God keeps His promises (ie His word) but that does not mean that the Bible has not been corrupted, it just means that what He has spoken will happen whether we know about it or not. As I said, using the Bible to prove it is correct is the same circular logic you accuse us LDS of doing with our beliefs. It if you do not allow us to do it, then why do you do it? Is there a word for that type of behaviour? What does Jesus say about that type of behaviour? But just saying that God has written in the Bible and said the Bible is correct does not prove it is, just as much as God saying to Joseph Smith in the D&C that the LDS church is the only true and living church, does not prove that it is. That is why I have asked God for a witness of these things, and I have received one. Yes the Bible is made up of a number of books BUT ALL of them are from Jewish derivation. That is why many historians and archaeologists who are non-believers (for lack of evidence of the authenticity of the Bible, I might add) pass it off as JEWISH MYTHS AND LEGENDS. 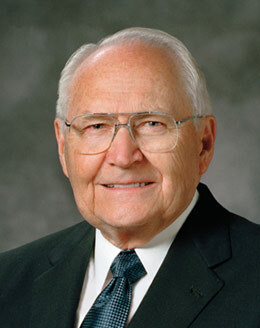 For us LDS it is only one witness of the divinity of Jesus, His atonement and the existence of God. As pointed out we need more than one witness – that is where the BoM comes in, it is the second. We are told in the BoM that there is more scripture out there waiting to be given to us in God’s own time. That is one thing I am waiting for – new things to explore. Rick, actually I have read the BOM/PGP & D&C as well as the Bible. I see the rewrites retranslations and constant editorial revisions and changes in all these works to show that these are not the PERFECT and INVIOLATE word of ANYONE/ANYTHING. They are the creations of people. I don’t consider that to be a particularly bad thing – so long as we remember that fact. Am I to take an exam to make certain that I’m qualified to remain at this site? Please, do tell me where this “test” is. Traveler, I am simply asking why your here if you do not believe any side, it seems your just here to cause trouble. Ralph, No offence, but your highly ignorant of the Bible. If your saying that since it was written by Jews then it cannot be trusted because all Jews do not make up more than one witness then you are very incorrect. In the Bible two or three witness were all of the same race, so why can that not apply to the Bible? Then if we have 40 different authors over 1000’s of years, they clearly have not meet each other, so they could not simply make up a story. Then from the time of Adam to the time of Abram their was only humans, God took a pagan who worshipped false gods and called him Abraham, and made him into the father of Jews, then after that we had gentiles, meaning Non-Jews, so if you like we have the 3 witness, Jews, non-Jews and simply humans from before the Jews were created. Then Jesus said, the Scriptures testify of Him, when we search the scriptures we read of Him. So if Jesus is God, then when God speaks I do not need a sinful human witness to testify God did not lie. Then even if we have two or three witness as you claim, these witness can lie, as we have accounts in the Bible of false testimony from two or three witness. Then when you said, I said the Bible is the Word of God, remember, the Bible tells us, The Word Became Flesh, the Word of God is Jesus. Jesus even said he does not need mans testimony, he has the testimony of the father, the Father is the second witness if you will, not a false prophet like JS. Even Traveler got it right about all the problems with the BoM. What about the 4,000 changes over 3-4 books in less than 200 years, that is a trustworthy witness? I think not. Then if you were correct about the BoM, why did God wait almost 2,000 years then have JS dig up the plates only to bury them again for about 3 years and wait on sharing this “Witness”. First understand, I do believe in the Bible and God and Jesus. That being said you missed my point. Look at the Bible from an athiest point of view – it is Jewish Myths and Legends. Therefore it is only ONE witness of God and Jesus because all who wrote in the book are ancestors of Abraham. What is the difference for an athiest between the Koran and the Bible? Nothing really, they are just stories. Moses is considered the initial writer of the Bible and he lived a few hundred years after Abraham. Yes the writers had not met each other, but they belonged to the same nation with the same religion, myths and legends so the stories/characters/etc can build up to be fluid in print as it does in the Bible. So from an outsiders’ view the Bible is only one book/witness describing the Judeo-Christian Religions. There needs to be another nation to witness to the truthfulness of these things. When you said “Then Jesus said, the Scriptures testify of Him, when we search the scriptures we read of Him. So if Jesus is God, then when God speaks I do not need a sinful human witness to testify God did not lie”, you are missing one small verse that Jesus Himself said – John 5:31 If I bear witness of myself, my witness is not true. So if Jesus is God, as you say, and He bears witness of himself in the Bible, as you say, what does this verse say about that witness? Yes Heavenly Father is a witness, that is in the scriptures, but Jesus cannot be one. You were right about Traveler getting it right – The BoM AND Bible have many errors in them because they were records kept by man. Lastly, your question about the timeline – God works to His own timetable. It is not up to me to defend/explain it as I do not comprehend His ways. He knows the whole picture from beginning to end and He can do as He pleases when He pleases throughout that period to move His great work along. What is your point about athiests? Many people do not believe the Bible to be the word of God. LDS do not fully trust the Bible, they make God out to be a liar because he was a human that became God, that is another Gospel. Muslims, JW’s the list goes on as to who deny the Bible, these groups deny the BoM so how can the BoM be another witness when even these groups deny it. Then I said traveler got it right on the BoM not the Bible, see you prove my point, even you do not fully trust the Bible. If you cannot trust it then how can you trust God? Still no reply about the 4,000 changes in 200 years and among 4 different books plus doctrinal changes. Then not every author of the Books of the Bible were Jews, so now the non believers deny the Bible because a Jew wrote it, then they Deny the Bible because a Non-Jew wrote it, I agree with the Bible, they deny the word of God because their deeds are evil and they loved darkness rather than light. Through out the Bible their are over 1,800 prophecy’s can the BoM claim that. Then I am still waiting for an answer about the Bruce challange I gave, Just because Chuck said he would write a book about it in the future is not an answer, to me he is simply another mormon who failed to answer it, a dodge of the question as I said would happen, then now that he left, how will I ever know if he writes the book or not. My point about atheists is that most of the reasons you give to try and prove the LDS church wrong are used against your beliefs. There is little scientific, historical and archaeological evidence of the authenticity of the Bible, and this can be proven by the number of scientists, historians and archaeologists who do not believe in the Bible. So you saying that you cannot believe in the BoM because of the very little evidence found seems moot because you can believe in the Bible. Let’s look at your last statement – “dies in a gun battle” Moses, Nathan and Samuel didn’t die in a battle, BUT they instigated it and others died. –“kills two people” According to you, Moses murdered someone in cold blood, not in some incident where self defence can be claimed. Then there is Samuel the prophet in the OT – he slit the throat of a bound and captive person. –“and trys to jump out a jail window” I take it you mean tried to run for his life? If this is the case then can you believe in Abraham and Isaac? They lied to the Pharaoh at the time by introducing their wives as their sisters. This was all to save their own life as their wives had nothing to fear, and they admit to this being the ONLY reason. Moses ran into the desert after killing the Egyptian to save his life. Other examples you give – Magic – Jacob used magic to gain more sheep and goats from his father-in-law. Lying – He lied to his father and said that he was Esau to gain the birth-right blessing – yes Esau said that Jacob could have it but their father didn’t know and Jacob outright lied to him when confronted. Polygamy – is rife in the OT prophets (Abraham, Isaac, Jacob and Moses to name a few) and you say it was not commanded by God, He just tolerated it. So if you want to know how I can still believe, then look at yourself because you do the same as me about rationalising your belief. How can this be, if we cannot trust the Bible? If the BoM is another “witness”, then that negates what this Scripture says. If the Bible is not trustworthy, neither would the above Scriptures. But it can be trusted. In John 17:17, Jesus says to sanctify us by His truth. God’s word is truth. If there needed to be another “Witness”, then this could not have happened until the 1800’s. Does this make logical sense? Bruce McKonkie’s challenge says, in short, what is not in the Bible must be in the Book of Mormon. Otherwise, why would we need another “Witness”, unless this “Witness” can provide what the Bible falls short of? So, what is it that the BoM says that “completes” the Bible? They are all very good verses, but none of them state that another witness other than the Bible is not necessary. They just say that the the word of God is doctrine and correct. As you well know, we believe the Bible to be the word of God as far as it is translated correctly. So the Bible is the word of God and can bring people to a knowledge of God and Jesus and from this can sanctify people, so no, your statement was not logical. Again, using quotes from the Bible to prove its true does not make it so. What you are doing is saying that The Bible is true because it says its true. That is like me going through LDS scripture and proving that the LDS church is true – eg In D&C 1:30 we read God’s testimony about the LDS church saying “the only true and living church upon the face of the whole earth.” In Joseph Smith history we read God telling Joseph that none of the churches on the earth at that time were the true church and that it will be established through Joseph – again showing that the LDS church is true. There are other scriptures in the D&C that say the same. So with your logic this make the LDS church God’s only true church on this earth. I know you don’t believe that, but I do. As for the challenge, the link you provided was non-functional so I cannot see what it is all about, and that small explanation is not specific enough for me to say anything. I won’t be home over the weekend so I can’t receive any answers until Monday (your Sunday), so if you want answers from me you will have to wait. BTW I don’t mind you two participating as long as what is written are your thoughts. I have seen Rick sign his name under your (Shelli) account in the past thus getting over the 3 posts a day to which the rest of us adhere. 1. Adam fell that man might be. The Fall was part of the plan to give us opposition to learn, grow and use our free agency. 2. Explains the second death. The first is of the body the second a spiritual death. Knowing what it takes too not suffer the second death (Good Works-because EVERYONE is resurrected, even if you are NOT saved you are still resurrected). 3. How important Isaiah is and that it pertains to us in our time. 4.Explains why the Savior needed to be Baptized and why it is so important for us to be baptized by water. 5. That the USA is a choice land above all others and we will be blessed and not have a dictator rule us as long as we serve the Lord. (a prophecy that has come true, but when we turn from the Lord look out; the times of the gentiles will be fulfillled and the Lord will remember is covenant people Israel. and they will come through us and slaughter us as a young Lion for sport). 6. What is to come before, during and after Christ returns and how to be ready for it. 7. The importance of gathering and land of inheritance. 9. Knowledge is key and no one can be saved in ignorance. Revelations of God should not be despised and mysteries are to be searched for to obtain the meat of the gospel and not to be content on the milk. Adam fell that man might be, huh? Things were perfect before Adam, so I’m not sure I’d agree. We already know about the second death in the Bible, and yes you are right– all will be called up before final judgment. The same can be true for why Christ needed to be baptized. These last two are not anything new. God raises nations up and destroys them. Hate to say it, but there is nothing Biblically to suggest the USA is any different. We can learn what is to come before Christ’s return and how to be ready by reading the Bible alone. I’m not sure I understand #7, but I think you refer to the importance of being prepared by gathering resources. Again, a Biblical principle. Eight is not Biblical, and suggests polygamy is not bothersome at all to you. Knowledge is key, but so is wisdom. The two are not the same, and a simple reading of the Proverbs tells us that. Me and Shelli are two different People, Sharon has meet both of us and knows I am not Shelli and Shelli is not me. My thoughts are not her thoughts. Yes I did ask Shelli since I know her if I could reply under her account. Now Ralph, As soon as a new topic gets posted this topic will move to a new page, I will not go over to a different page as that makes it harder as we try and follow it. One thing to think about is this. Jesus quoted from many books of the Bible and many people from the Bible, not once does he quote from the BoM prophets or people, that shows me they were not real. Say what you want, but Jesus goes all the way back to both before the fall and right after the fall, so if the Tower of Babel is in the BoM, them it would be easy for Jesus to refer back to Mormon prophets. 30 Whoso killeth any person, the murderer shall be put to death by the mouth of witnesses: but one witness shall not testify against any person to cause him to die.” Num. 35:30. 7 The hands of the witnesses shall be first upon him to put him to death, and afterward the hands of all the people. So thou shalt put the evil away from among you.” Deut. 17:2-7. “14 Thou shalt not remove thy neighbour’s landmark, which they of old time have set in thine inheritance, which thou shalt inherit in the land that the LORD thy God giveth thee to possess it. 17 And if he shall neglect to hear them, tell it unto the church: but if he neglect to hear the church, let him be unto thee as an heathen man and a publican.” Matt. 18:15-17. “1 This is the third time I am coming to you. In the mouth of two or three witnesses shall every word be established. 2I told you before, and foretell you, as if I were present, the second time; and being absent now I write to them which heretofore have sinned, and to all other, that, if I come again, I will not spare:” 2 Cor. 1-2. “19 Against an elder receive not an accusation, but before two or three witnesses.” 1 Tim. 19. Okay then, there is one very important thing here that seems to be missing, Ralph you are making an argument about saying that the Bible is one witness, the BOM is another witness, etc. The problem here is this, All these verses I have listed above, both from the Old and New Testaments have nothing whatosever to do with establishing revelation. What they have to do with is somebody being accused of sinning in one way or another. you are taking these verses completely out of context when you try to use them to justify the BOM as one of the two or three witnesses of God and His revelation. You took this and applied it to something completely different. I don’t want you to be confused or confusing to others. Thanks. I was just trying to enjoy the discussion – sorry that you consider me to be “trouble”. Yes the Bible is made up of a number of books BUT ALL of them are from Jewish derivation. That is why many historians and archaeologists who are non-believers (for lack of evidence of the authenticity of the Bible, I might add) pass it off as JEWISH MYTHS AND LEGENDS. This is not true. Luke was a gentile. He wrote both Luke and Acts. He searched it out on his own, and then wrote Theophilus an orderly account of what had happened to Jesus. Also, in the book of Daniel, Nebuchadnezzer wrote part of it to tell his story of how God humbled him. It’s in Aramaic. Here is the start of it. Read it for yourself. It’s the whole chapter. Rick I was just trying to enjoy the discussion – sorry that you consider me to be “trouble”. Honestly traveler I have no problem speaking with you, but if your honest with yourself and you re-read your first 2-3 posts I believe you will understand why I said what I did, you came across sounding like you were angry and just wanted to cause trouble. The earth was not perfect it was GOOD. Why would God put Adam and Eve on the same place he cast out, from Heaven, the Son of the morning? Isaiah is so important because it describes our day. Isaiah 2:6-12, Isaiah 3:16-26 Isaiah 28 and 29. thoughts? Why do you believe a perfect Christ would need to be baptized? The USA has been blessed and it is a prophesy come true in the BOM. Yet things like this are ignored. How would Joseph Smith know we would never have a king or a dictator? So what of Christ’s return is it a concern? Are you anticipating it and watching for his return? Is it not a concern because you believe in the raptured? Is there a need to prepare and gather before Christ’s return? As for polygamy the 12 tribes of Israel came from 4 wives, 1 man, and Nathan, a prophet, gave David as many wives as he wanted. So if God doesn’t change why would he like polygamy one day and hate it the next? Think of how different our society would be if you laid with a women she became your wife and you had to support her. If you did not support her your brother would have too. This would make men be responsible and not have us in the mess we are in now.